I love the blue and I can sympathize with your pattern reading issues. I am the same way. The "I know how to do that, I don't need to read the instructions" has gotten me into trouble more than once. Maybe one day I'll learn. Eliza is absolutely beautiful. I love her hair! what a little trooper she is!! a so adorable! May God's protection and angels continue to surround her and your family! Seeing your pickle dishes put together is really inspiring me to pull mine out! I have 2 quilts to finish and then it comes next. And thank you for sharing a current picture of sweet little Eliza. Such a difficult way for her to start life. I see such a resemblance to her grandma nanette, and know she has all the love and support to grow and be strong. 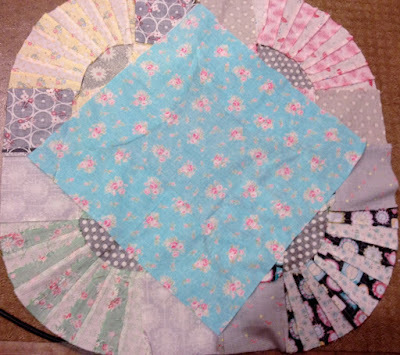 Love the Pickle Dish Quilt, but mostly the photo of your beautiful Miss Eliza! The blue is a winner Nanette! More prayers for sweet little Eliza. What a little sweethear Eliza is. I always keep you all in my thoughts and prayers. She will be home before you know it. Love the blue fabric that you picked...perfect!!! Look at all that gorgeous hair! She is beautiful. And your block is beautiful too. I love how all those fabrics came together. Oh! Sweet little Eliza is looking so alert and healthy -- her coloring is so pretty. Thank you for the update. I love the blue that you've chosen for your pickle dish. I didn't realize you could applique them either -- I'm thinking that would be a much better choice! Your Gypsy Kisses block is so pretty...love the blue fabric in the middle. That little Eliza is sweet...I hope she continues to go from strength to strength. Love the fabric that you ended up choosing. So glad to see the update on Eliza, I was thinking and praying for her just yesterday! She does look alert and like she is growing. I will continue my prayers and well wishes! 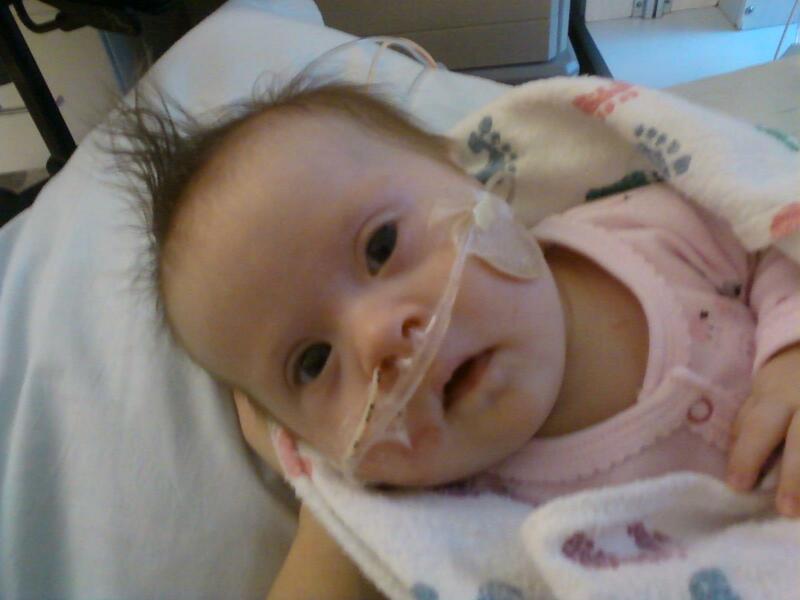 Eliza is certainly a sweet little babe...glad she is steadily growing! Love the block too! Ahh, she's such a doll. Continued prayers. 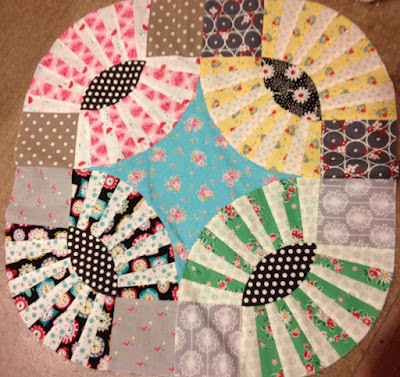 :) I love the fabric you picked.. the color and the smaller flowers, I can't wait to see this quilt done. It's going to be a stunner for sure! Ha! When all else fails read the instructions. I usually leave that for last thing to try. Muddler, you know. Eliza is beautiful, and I'm glad she's getting better. God is good. She'll be home with her family soon. I like the fabric you choose! Eliza is just so beautiful! Look at all her hair! I am glad there are more good days than bad. She is a little trooper. Linda ELIZA que bom que esta se recuperando bem,Deus te abençoe guerreira menina.Seu trabalho esta bem feito e vai emendar certo.Um grade beijo e muitas BENÇÃOS. Your pickle dish block is so neat! More prayers coming your way for little Eliza! 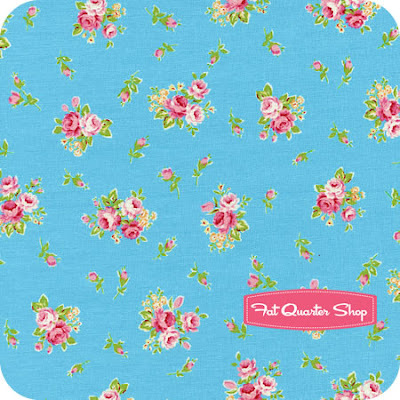 The aqua fabric you chose is just gorgeous, but not as lovely as little Eliza. She's adorable. Hope she is able to go home soon. Awww...cute photo of Eliza..cutie patootie! what else can I say?...amazing. Eliza and your teacups are adorable. What a sweet baby! Thank you for the update on Eliza. What a sweetheart! Keeping all of you in my thoughts & prayers. Wow, I would never have thought that inner piece would be appliqued on,,,,hhhmm, interesting and I'm sure sooooo much easier on the nerves!! What a sweet little thing she is. Bless her heart! !